Looking for a modern Admin Dashboard? Check out Cameleon Admin Lite. Cameleon is a bootstrap 4 WebApp template featuring many unique and modern features! Chameleon Admin Lite at themeselection.com is a device-agnostic, modern responsive design that is customizable. It's designed to work well on desktops, laptops, tablets and mobile phones. 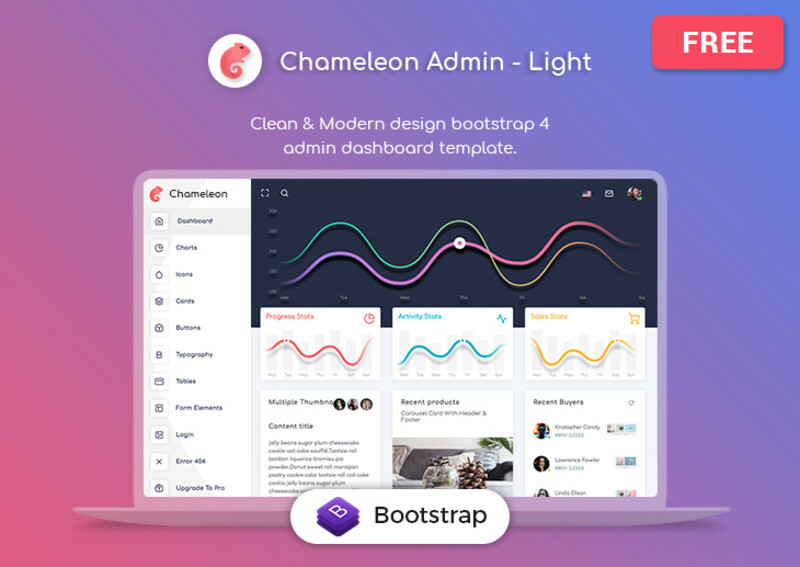 Chameleon Admin Lite is a Free Modern Bootstrap 4 WebApp & Admin Dashboard Html Template elegant design, clean and organized code. Chameleon free bootstrap admin template can be used for any type of web applications: Project Management, eCommerce backends, Analytics, CRM, Fitness or any custom admin panels. It comes with 2 niche dashboards. The modern, light feel will compliment any project and elevate any admin panel.